Dillon Carter's boyfriend, Marc Francis, is a paid assassin. That little fact makes having a normal relationship very complicated. Especially when there are people out there in the big bad spy world who hate Marc so much the last thing they want is him to end up happy. Obsessive enemies, ex-lovers and poisoned espresso do nothing to make Marc and Dillon's trip to Italy relaxing. In fact, they'll be lucky if they survive at all. Mark and Dillon are on the move, trying to avoid Mark's enemies and stay alive. This leads them to staying with Ronin, a colleague of Mark's as well as his former lover. Mark and Ronin decide to take the fight to the bad guys. For a short story this had a good helping of angst. Mark's inability to share his feelings allows Dillon's insecurities to fester and the addition of Ronin into the mix doesn't help. This story also has some good action and moves at a fast pace. 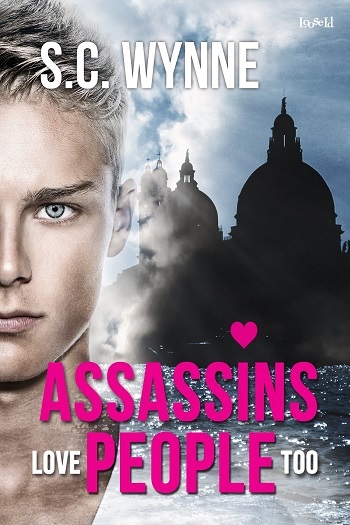 I really enjoyed Assassins Love People Too and the epilogue left me eager for more. 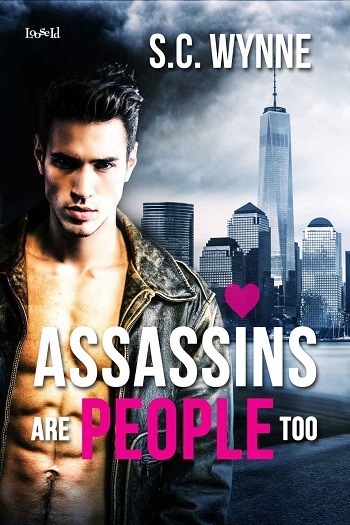 For reviews & more info, check out our Assassins Are People Too post. I never know what to say about myself, so writing an About Me section or bio is challenging. I love red wine and I’m obsessed with coffee. I haven’t won any awards for writing although I did win one for reading once. I’m not a world traveler…yet. The books I write are light and romantic with a healthy dollop of humor and just a dash of angst. I’m not curing cancer, but I do think reading stories that make us happy can’t help but improve our lives. I fall in love with every character I write, and I hope my readers will too. Reviewers on the Wicked Reads Review Team were provided a free copy of Assassins Love People Too (Assassins in Love #2) by S.C. Wynne to read and review.